Exchange Chambers will host an expanded version of its pupillage application advice day later this year offering more free advice and support for aspiring barristers than ever before. Now in its fifth year, the popular pupillage forum gives northern bar hopefuls the chance to spend the day with Exchange’s barristers and gain valuable insight into the set’s recruitment process. This year’s extended event will focus on the pupillage interview process and how candidates can stand out from the crowd during the recruitment process. The day-long session, which will be held on 13 December at Exchange’s Manchester office, will also feature hints and tips on how to complete a pupillage application form, advice on improving advocacy skills and a Q&A session with some of its junior members. Exchange — which has nearly 200 barristers across Liverpool, Leeds and Manchester — isn’t the only chambers to offer advice and support to pupillage seekers of the north. Kings Chambers, a civil set home to 20 silks and nearly 100 juniors, hosts its own three-day mini-pupillage fair each summer featuring a host of short talks, advocacy workshops and a trip to Manchester’s Civil Justice Centre. Bar hopefuls wishing to attend Exchange’s free pupillage forum on 13 December must submit a CV and cover letter to chambers, as well as answer a number of short questions, before the deadline on 26 October, which falls a week before the Friday 2 November Inns of Court Bar Professional Training Course (BPTC) scholarship deadline. For more information about the leading sets operating in the UK, including pupillage numbers, pay and proportion of Oxbridge-educated new tenants, alongside a ‘Legal Cheek View’ and scorecard for each chambers, check out our brand new 2019 Chambers Most List. 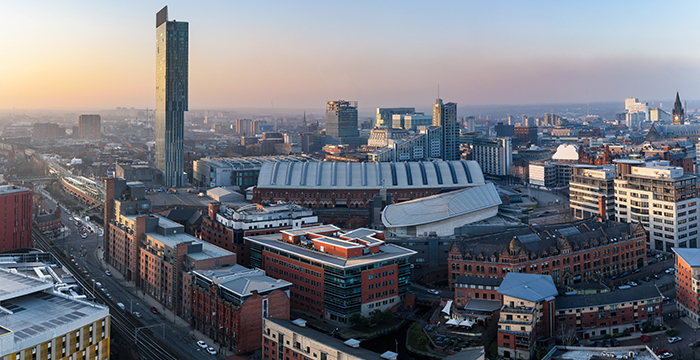 Before they moved their Manchester chambers to its new-ish home, their old phone system had a slight delay between a receptionist lifting the receiver and the line broadcasting what was said. The result was that each and ever time you phoned them, a chirpy, sing-song voice would say ‘Change Chambers’. Remember, not all pupillages are created equal. Sets like this will work you to the bone, expect you to work through the night (constantly) and expect you never to make a mistake. Not true at all. I’m in Exchange Chambers and this simply doesn’t happen. I’d love to know where your information comes from! It’s common knowledge that highly paid pupillages are sweatshops. Well done for naming and shaming – we should have a “metoo” moment to combat our long hours culture. Also the case at King’s Chambers. I would encourage “Jen” and “anonymous” to come along to our event and ask actual members of Chambers if we expect and ask pupils to work “sweat shop” hours. We don’t. It doesn’t happen. I’m not sure this constitutes a name and shame as “Jen”’s assertion is “sets like this” which is presumably a pop at large supersets in general. “It’s common knowledge” from anonymous doesn’t hold water (try using that in court!) and the named attack on Kings Chambers ought to be supported by examples. Mr Jebb, I would be interested to know what sort of working day a pupil could expect. What are the retention rates at Exchange? I can’t give you an exact percentage rate over the years but I’m struggling to remember the last time when we didn’t retain somebody following pupillage. We take on pupils “with a view to tenancy” and we do everything we can to ensure that not only do pupils complete their pupillage but also that they then want to stay with us afterwards. I’m the person who gave tell of hideous unprofessionalism above. But I have to support Andrew here. I think I’m right in saying that if you’re a just-about-established junior in Manchester or Liverpool, you’re more likely to want to move to EC than from EC. Possibly on account of the starkness of the lies their clerks are prepared to tell, knowingly or otherwise. I would suggest that Tom Clarke’s day, as described in our pupillage brochure, is a typical working day for a pupil in our set. I assume that Anonymous is making a joke when he/she suggests that you should expect to leave Chambers at 5 “and chill”. My advice would be – Don’t come to the Bar if you really think that your working day will end at 5. Of course there is work to be done after Court and pupillage will help you to prepare for that reality – in practice you will have to work late sometimes. It’s not a “macho” thing – questions for witnesses, legal submissions and speeches don’t prepare and write themselves. A friend at another set once told me that many years ago, he’d been invited back to his old secondary school in order to give a talk to some sixth formers about his life. At this point, he was about 10 years call. Of course, the answer was ‘no’. It’s hard work, and it demands a good deal of time. It doesn’t stop. You have to be ready for that, and you can’t hope to be ready by thinking you will be free by 6 every night. You can’t be. If you want that, do my job. But if you want to have a properly interesting, demanding, largely self-determining job putting you in close contact with some seriously exhilarating people on a daily basis, then get yourself into pretty much any set of chambers. Given Chambers is looking for outstanding candidates, your problem with the above is…? The very best will always attract the snidey put-downs. I suspect Jen wasn’t taken on? Don’t dis the ‘change or Big Tom will come and get you!!! He can’t get me if I’m anonymous. Looks like they are doing better than 39 Essex. Last one there turn the lights off. If that option is still available, of course. Should never have left their respectable former Essex Street offices. It serves any chambers right if they think it is remotely acceptable to move to a brand new, generic, open plan office. There is a reason we chose not to become solicitors. Is this true? 39 Essex has an open plan office? Can anyone else confirm? No. They don’t have open plan offices. Quite the opposite. They have a lovely yet expensive building. One floor is empty and they have had £2.5m walk out the door to 3VB. Some other departures likely. I’m sure the replacements are decent but unlikely to plug the gap. I wantz me a pupllage at a top london set, pet.